You may be asking yourself this question if your gums appear red, tender, puffy, or if they bleed whenever you brush your teeth. These are all early signs of gum disease, and while it might be minor now, without treatment, it can easily develop into something much more serious. Gum disease is the leading cause of tooth loss for American adults, and it’s also a huge risk factor for other serious conditions such as diabetes, heart disease, and stroke. At Cityview Dental Arts, we’ll keep an eye on your gums whenever you come to see us, and if we notice that you have developed this condition, we can treat it with a pair of procedures called scaling and root planing. Teeth are routinely cleaned to protect the healthy barrier, protecting the bone. When this has been neglected, a specialist called a Hygienist needs to remove the built up food and bacteria to allow this barrier to reconnect. 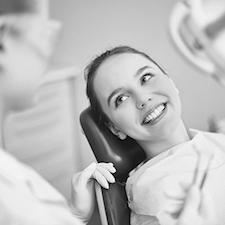 This is sometimes called a deep cleaning and can ensure a long-lasting smile. 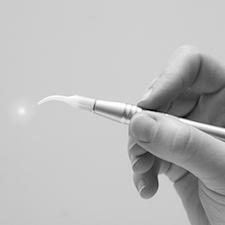 Our highly trained hygienists will first use small tools called scalers to clean away plaque and tartar buildup from around your gum line (scaling), and then we’ll gently smooth out the roots of your teeth (root planing). This will make it much harder for plaque to accumulate in the future, therefore making you less likely to develop serious gum disease again. A soft tissue laser is another tool we can use to manage and treat your gum disease, and it can be used on its own or in conjunction with a scaling and root planing treatment. The laser uses a highly-focused and precise beam of light to instantly vaporize any harmful bacteria that may be on your gums. The laser is so accurate that it will not affect the surrounding healthy tissue, which will minimize any discomfort you might feel during the procedure as well as shorten your recovery time. If your gums look red, swollen, or if they bleed whenever you brush your teeth, you may already have gum disease. 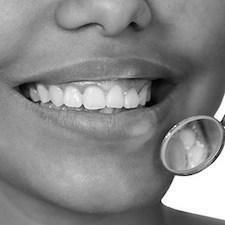 In order to protect your smile, you need professional treatment, so contact us today for an appointment.